This beautiful car was sold to Guy who is in love with it! When I first saw this I was amazed by its beauty. If you think how many ugly cars were designed after this, what were they thinking? Back in the day, Bill Mitchell Head of Design for GM went to the Paris Motor show and saw a Rolls Royce and a Ferrari. He got on the ‘phone and said to the design team he wanted a car that was both sporty and sophisticated, and he intended the car to be for the Cadillac Division. The team came up with the design but it was rejected by most GM Divisions. At the time Buick sales were declining, and they took it on. 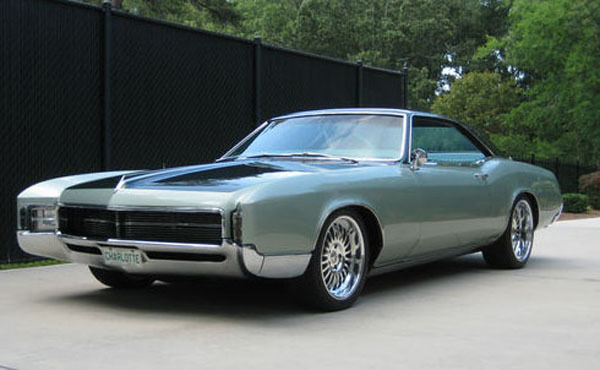 The car became the ’63 Buick Riviera. The name Riviera had been used before as a trim option, now it became a model in its own right, and improved year on year. 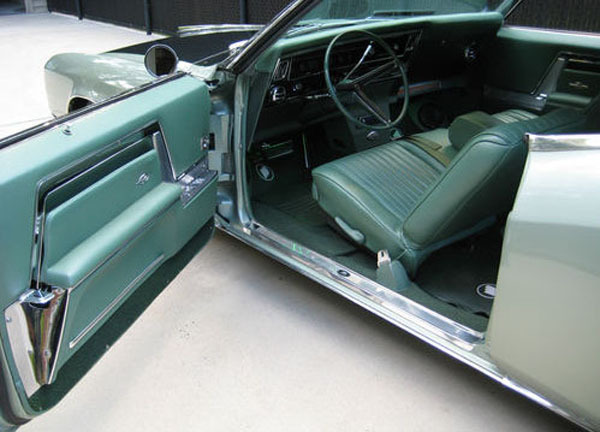 In my humble opinion no cars from the 70’s or 80’s can compare with the lines of this ’67 Riviera. 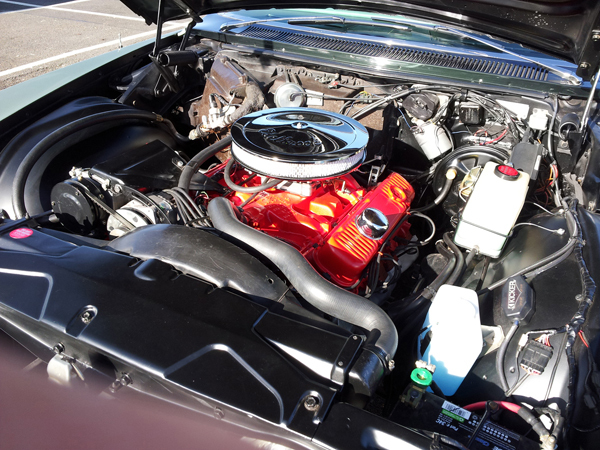 In its day the ’67 Riviera had the highest rated standard engine of any ‘muscle car’. Fitted with a 430ci Wildcat 360 bhp V8, it would run 0-60 in 7.8 seconds and was capable of 129 mph. This particular trophy winning car is slightly lowered and has after market wheels, obviously. The motor was totally rebuilt by Mag American and it sounds wonderful. 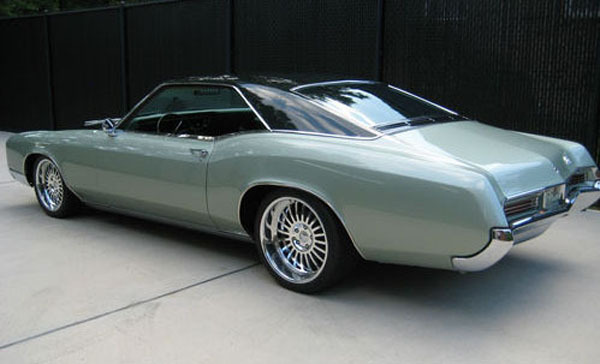 Only 3% of these cars were sold without a vinyl roof, the custom paint job is finished in Corvette Dark Bowling Green metallic over Buick Mint Ice metallic. Standard features: Power Steering, Power Brakes, Tilt Steering Wheel, Auto Transmission, Air Flow Ventilation. Front Disc Brake Conversion fitted by Camford Car Care, Sundon Park, Beds. This beautiful car is now sold, the new owner is in love with it!